This is my love story review of Freshly Picked. Where, oh where, do i begin? As a mom i am always on the search for baby items that ACTUALLY LAST, with baby shoes at the top of my list. That’s when i discovered FRESHLY PICKED… the holy grail of all baby moccasins! I saw her on Shark Tank years ago but didn’t have a baby at the time so never looked much into them. 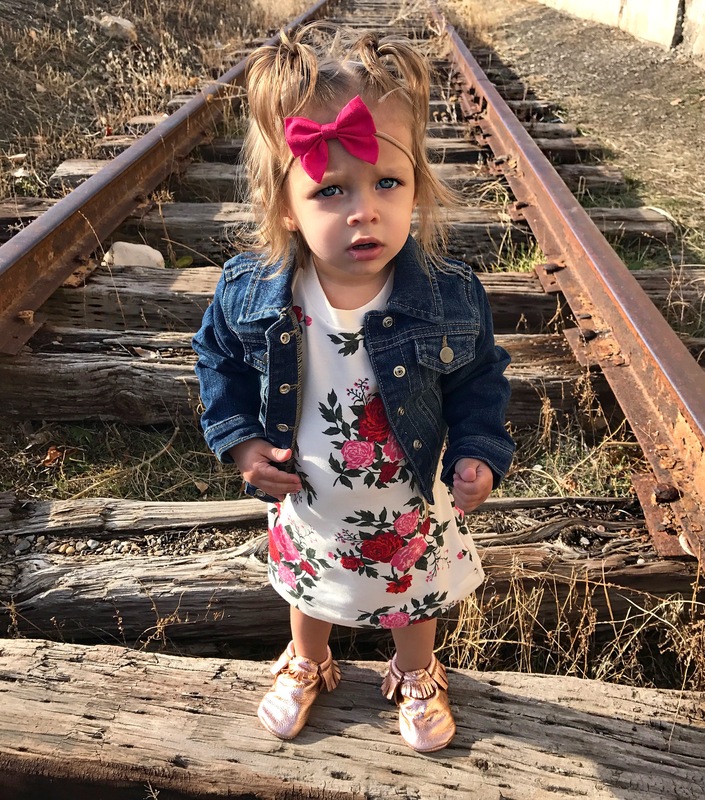 Once my little one arrived i knew i needed to start looking into options for baby shoes that can be worn anywhere, anytime and not fall apart in a week like most brands. 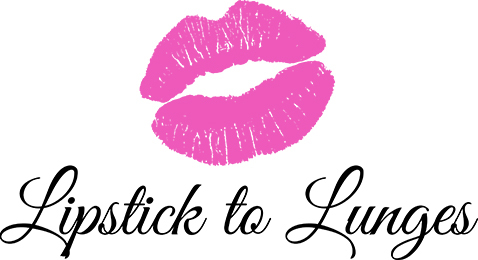 Susan Peterson started this company from the ground up with only $200 in her pocket, isn’t that amazing? Now that Peyton is running around 24/7 i like to keep shoes on her most the day whether we are indoors or outdoors. 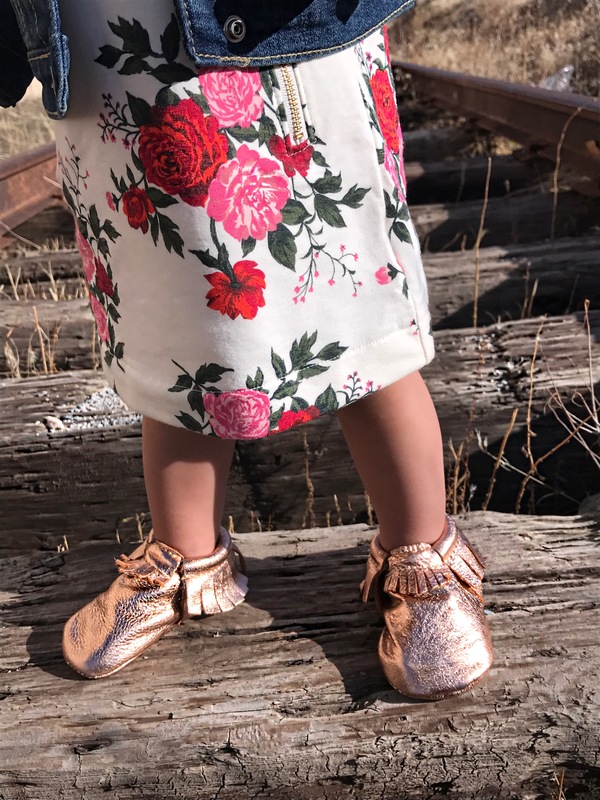 I have been waiting to scoop up these Rose Gold Moccs for some time and now that i have them i can honestly say they are by far my FAVORITE color that we own. 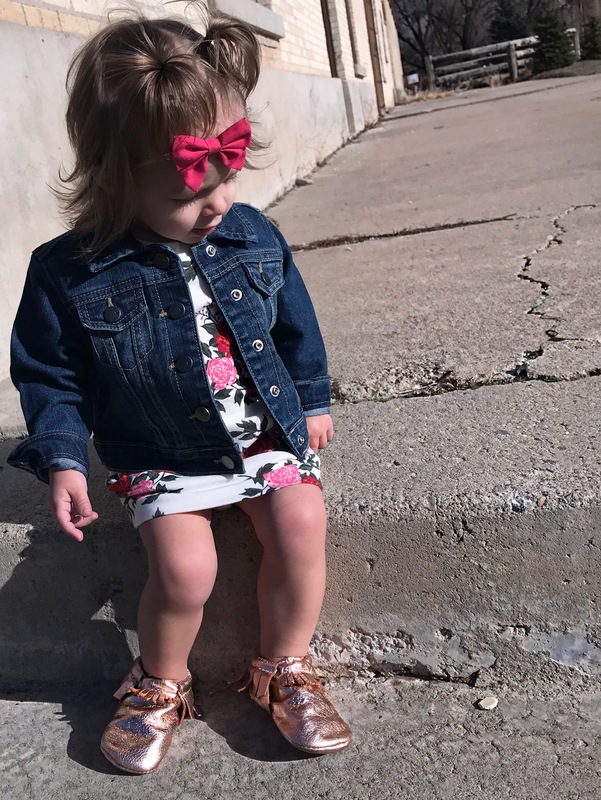 We own about 10 different pairs and each color is unique, beautiful and easy to mix and match with all of your babies clothing. I also feel that most the colors are gender neutral, which i love! 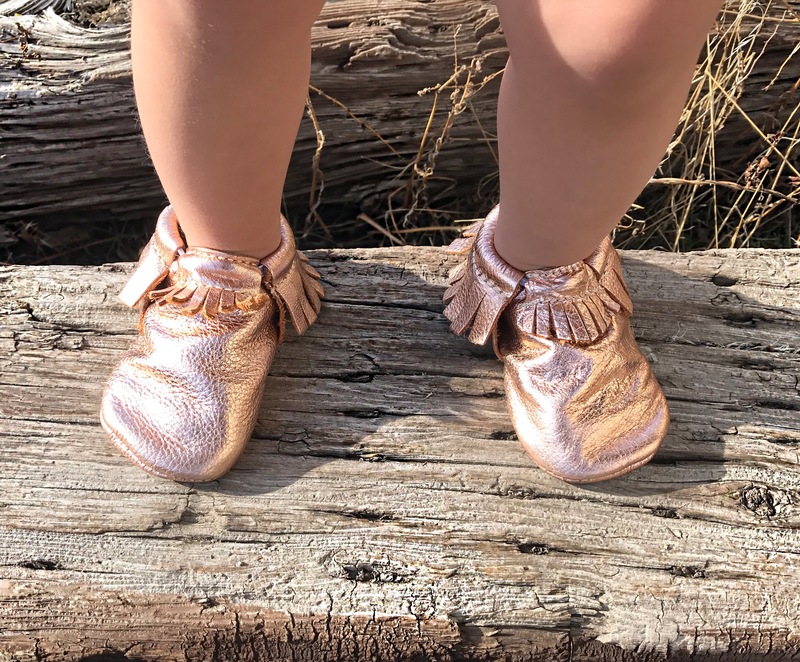 You can purchase the Rose Gold Moccasins here . 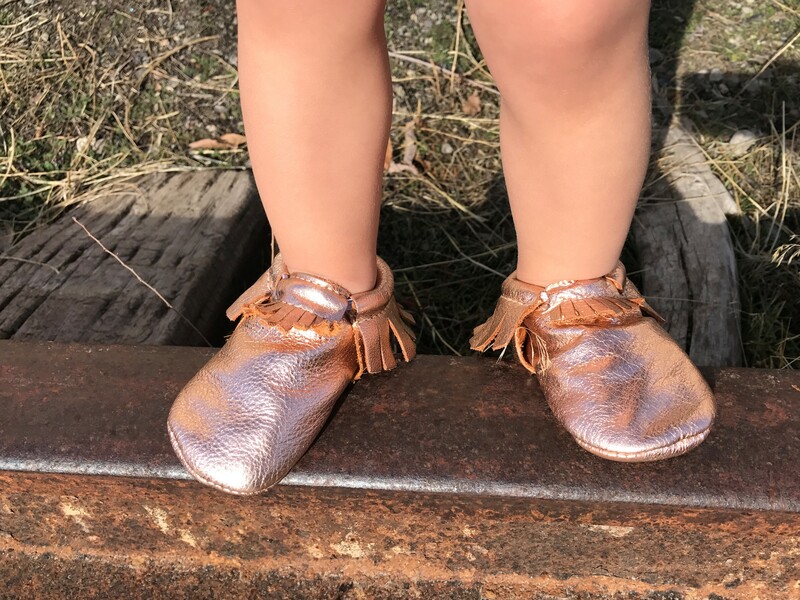 These moccasins are very easy to get on and off, require no lacing, but the best part is, they STAY on your little ones feet. They have a built in elastic band that is stretchy, so the shoes are comfortable but secure on your little one’s feet. They have soft soles, but are perfect for all terrains, be it at the park or playground, and they are great for all seasons. PLUS if they get dirty, they can easily be cleaned with a wet wipe or washcloth. I love watching Peyton grow up in these shoes and the little toe prints engraved on the bottom of them will always be my reminder of our adventures together. I don’t know about you but i think that is the ultimate keepsake. As a mom, i will continue to purchase freshly picked for as long as I keep having babies and will recommend them to anyone and everyone. The price tag may seem high but i can PROMISE you that these are the best of the best and DO NOT DISAPPOINT. Make sure to follow Freshly Picked on Facebook and Instagram @freshlypicked to stay up to date on all their new colors, and for awesome giveaways and discount codes from time to time!